Victor Ostrovsky is the best selling author, and screenplay writer, of four books which were a worldwide phenomenon. His expertise on Judaism, Islam and security issues, made him a thought after speaker. Victor has appeared on Larry King Live, The ABC, NBC, and CBS Nightly News, Prime Time Live, and dozens of other media venues worldwide. His book “By Way of Deception” was banned for one week, but was overturned by the appeals court. “The Israeli government, which won the temporary restraining order Wednesday, failed to prove that its agents’ lives were endangered,” said a statement by a four-judge panel of the New York Appellate Division. Eventually, the artist presented Victor with his own box of oil paints and took the time to guide him into a world where expressions come through images and color, handing the child a gift that would soon become a passion. At eighteen years of age, Second Lieutenant Victor Ostrovsky was the youngest officer in the Israeli armed forces (Navy). He was an ardent Zionist with a fervent commitment to David Ben-Gurion’s founding vision of Israel as one of the greatest and most principled states in the post-War world. 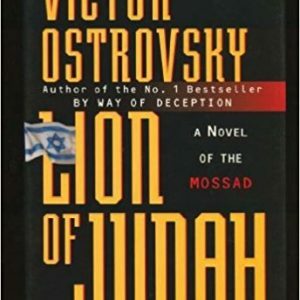 Few families can claim deeper or more honourable Zionist roots, or a more fierce commitment to the creation and defence of the State of Israel than Victor Ostrovsky’s. His grandparents, Haim and Esther Margolin, settled in Palestine in 1912 after fleeing the Russian pogroms, Haim, eventually rising to become Auditor General of the JNF (Jewish National Fund). Victor’s father, after More then twenty bombing missions over Germany in WWII as a Rear gunner on a Lancaster in the CRAF (Canadian Royal Air Force) – a job that was the closest thing to a suicide mission the war had to offer – commanded an air force base in Israel during and after the Israeli war of Independence; his uncle was a member of the Wolves of Samson a pre independence commando unit, while his mother fought with the Haganah, the Israeli underground, after serving during WWII with the British army. Victor rose to rank of a lieutenant commander in the Israeli Navy and served as head of the weapon testing program. It’s not surprising then, that when Victor is invited to train for the Mossad, (Israel’s elite foreign intelligence service) he leaps at the opportunity to serve his country in such an extraordinary way. 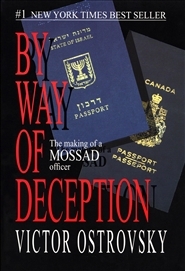 The Mossad is probably the most highly trained effective and ruthless organization of its kind, anywhere in the world. In some ways Mossad is a microcosm of the state of Israel: because it is smaller, poorer and more isolated than its enemies, it must unfailingly act smarter, hit harder and be better, than all of them. A Mossad cadet will experience more action, more pure terror and more physical assault during training than many Special Forces operatives will in the course of an entire career. Training for the Mossad will take Two and a half gruelling years, during which time most candidates will fail. The Mossad famously boasts that it has no compunction in failing 5,000 recruits to find just one. There is no silver medal, no second best, no compromise when it comes to defending the security of the State of Israel. 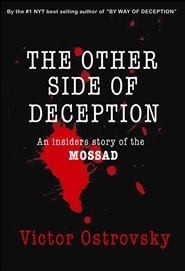 But through the years of his training and his experiences on subsequent missions, Victor comes to the reluctant but certain realisation that, unaccountable even to the prime minister, a certain element within the Mossad, through callous, irresponsible and increasingly self-motivated actions, rather than defend the interests of the state, were in fact in danger of destroying it.